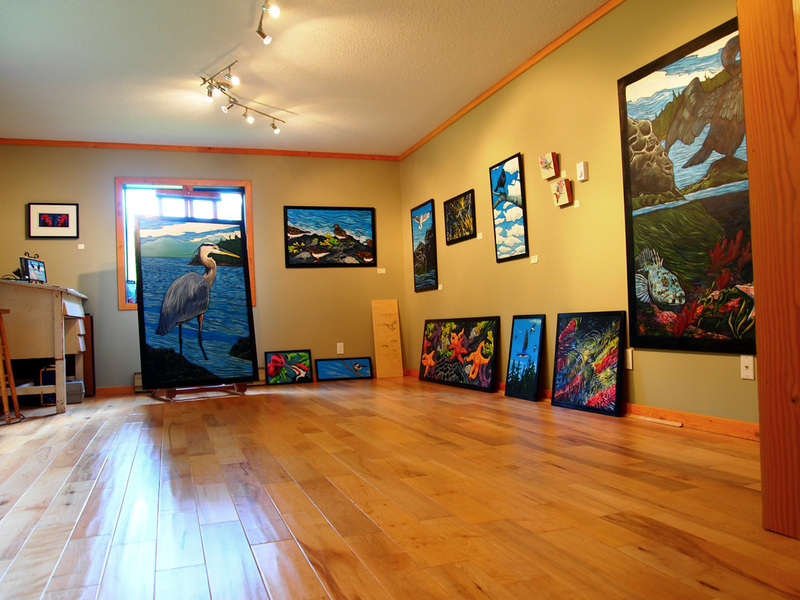 Black Bird Studio is the home studio gallery for artist Kenna Fair. 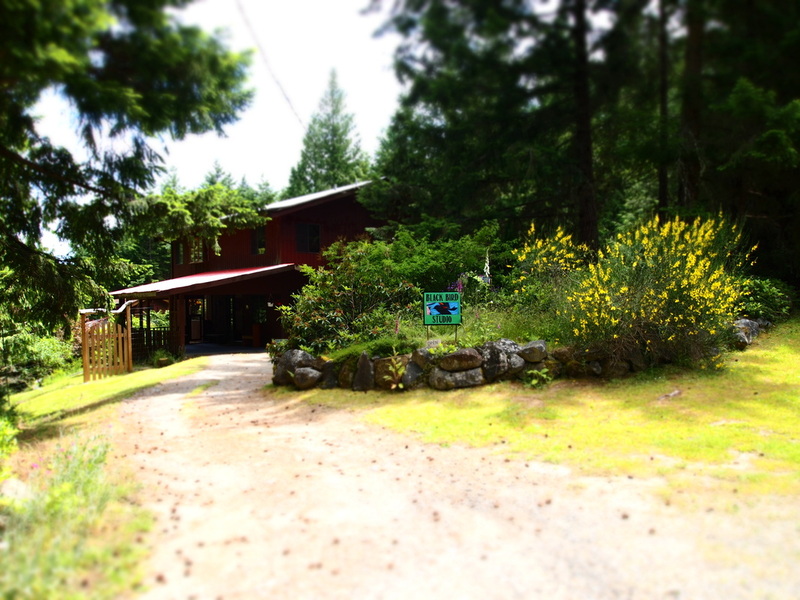 It is located on beautiful Galiano Island, British Columbia, Canada and is part of the Southern Gulf Islands. 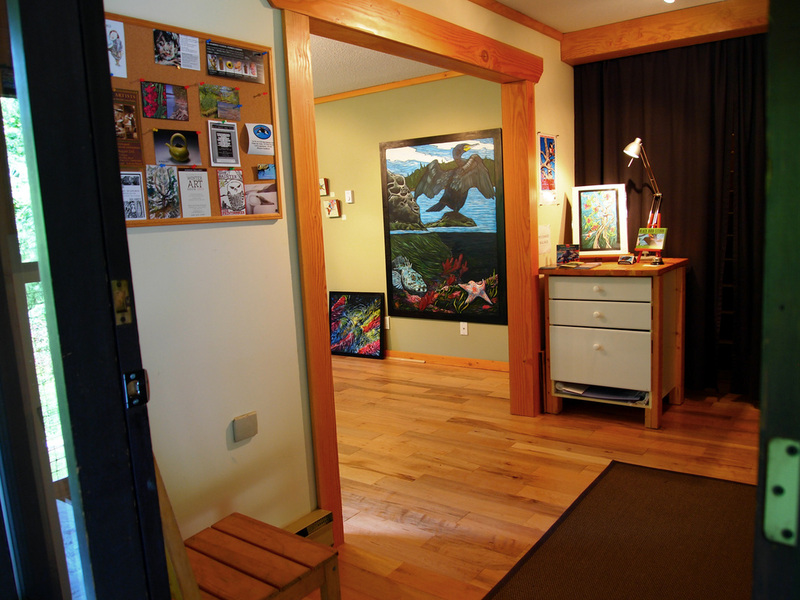 At her studio you will find original painting plus a assortment of limited edition prints and cards. You also will be able to see where Kenna works and she is more than happy to explain her process to you. Black Bird Studio is also pleased to have special guest ceramic and pottery artist Laurie MacCallum and painter Rachael Peters showing their work along with Kenna's paintings. 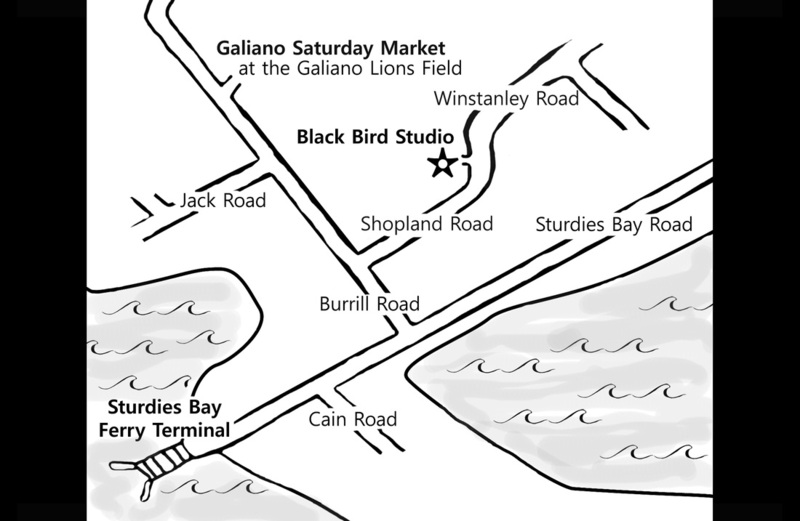 The studio is open from June to December, Friday - Sunday 12 to 4pm. Please email for private viewings.